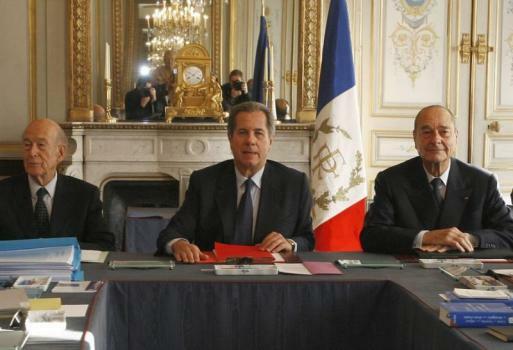 The French Constitutional Council has ruled that the law passed by parliament last month criminalizing negation of the Armenian genocide is unconstitutional. Alhamdulillah. The reason: it violates freedom of expression. Duh. Full text of the ruling is here. Judges of the Constitutional Council are nicknamed “les Sages“: the wise men. In this particular case they were definitely wise. But now we read that Nicolas Sarkozy wants a brand new bill that criminalizes Armenian genocide negation and before the National Assembly adjourns next month. Not only is Sarkozy not wise but he is the opposite of wise. Worse, he is unhinged. Get him out of there! 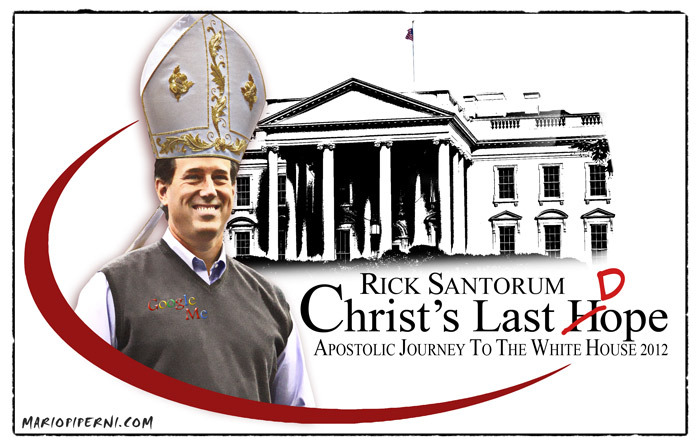 He absolutely positively needs to lose the election. And inshallah he will. UPDATE: François Hollande, engaging in base electoralism, says that he’ll take up the Armenian genocide negation question if elected. Borrowing from a former Président de la République, Monsieur Hollande a perdu une bonne occasion de se taire. But I’ll bet he won’t do it. 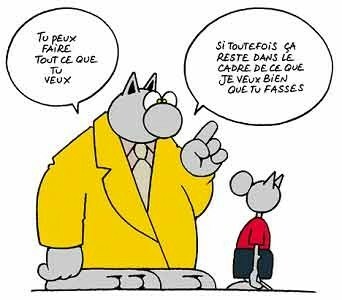 Les promesses n’engagent que ceux qui y croient. Most. Lucid. Political. Observation. Ever. Read the whole thing. The American welfare state is, in fact, less generous and comprehensive than that in France and the Scandinavian countries but Brooks is on the right track. Not bad for a conservative. But then, Tea Partiers will likely retort that this shows that Brooks is really a “socialist” (as one actually informed me some time ago). Oh well. A number of diplomatic rules have been ignored by Western governments in Syria. First, never rule out force publicly even if you have done so privately. The numbers killed in Syria are beginning to dwarf those murdered by the Gaddafi regime prior to the NATO intervention in Libya. 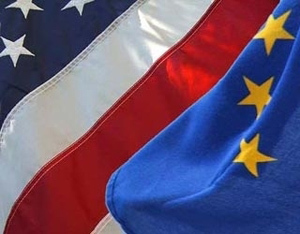 The brave political decision by European leaders to come to the aid of the Libyan people should have reverberated throughout the region, sending a warning to Syria and other dictatorships in the region. The message should have been clear: nothing is off the table if you murder your own people. Instead, from almost the moment the protests in Syria began, Western leaders fell over themselves to tell Syrian President Bashar al-Assad that he had nothing to fear, since military intervention was simply unthinkable no matter what he did. Western diplomats say that this was necessary in order to secure Chinese and Russian support at the United Nations. That is correct, but such assurances could have been provided discreetly, while the regime in Damascus was left to guess about NATO’s real intentions. Second, the main function of an embassy is to act as a liaison with a host government, even one as odious as that in Damascus. The closing of Western embassies has had little effect upon regime behaviour but has blocked channels of communication. Despite ruling out military intervention or the provision of assistance to defectors from Syria’s armed forces, Western diplomats have not managed to do much about Syria other than criticise the violence and call on President al-Assad to stand down. Western leaders have painted themselves into a corner. They have misread the situation on two counts: firstly, they have assumed that the removal of al-Assad is critical towards ending the violence and issued ultimatums to that end. Secondly, they have also over-estimated the weakness of the Syrian regime and the willingness of the military to turn upon its leaders. The President of Syria is no Gaddafi – power is distributed more horizontally among the elite in Syria, and the President’s control over the security services is by no means absolute. The removal of al-Assad by itself would not solve much unless accompanied by a broader commitment to reform. Syrian military leaders have now gone too far to turn back. As in Spain at the end of the Franco dictatorship, they will want assurances that a transition will not mean prison or worse for them and their supporters. 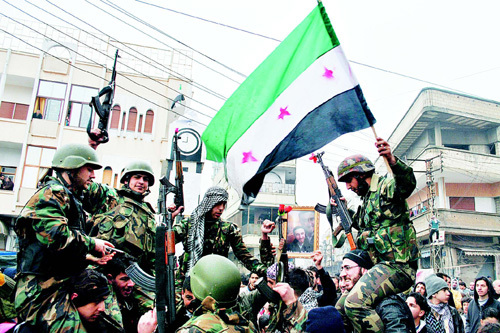 Moreover, they are not being defeated – on the contrary, defections have so far been minimal and they believe that they have groups such as the Syrian Free Army on the back foot. Third, do not encourage regime change without any concept of how, and with what means, such a revolution might come about. The West should have learned this lesson after the slaughter of Iraqi Shia rebels who rose up against Saddam Hussein in 1991 – when the insurgents received nothing more than words of support despite expectations of financial aid and military equipment. Also, if political and economic sanctions are to be the exclusive means of weakening the Syrian regime, it is essential that neighbouring countries are on-side. Here the West has put too much faith in the Arab League. The Arab League may have become more vocal, supported by countries such as Saudi Arabia that have long resented Syria’s ties with Iran, but it remains incapable of enforcing its resolutions. The West should try to rein in efforts by Gulf countries to arm a range of insurgent groups, many of which are deeply mistrusted by important minority groups such as Syria’s Kurds and could do significant damage to the credibility of the opposition movement. Syria badly needs a credible shadow government to negotiate with external parties. Until one emerges, Western diplomats should discourage the distribution of weapons to disparate groups feuding for leadership. However, there are limits to the role Western diplomacy can play. Although the West can embark on a supportive dialogue, it is now impossible for the West to play a leading role as an intermediary in the conflict. A trusted interlocutor is urgently required to negotiate a credible transition in Syria. Such leadership cannot come from Europe, the United States, the Arab League, or Russia – none of whom are trusted by all sides. UN Secretary General Ban Ki-moon has been content to sit on the side-lines, choosing not to deploy his ‘good offices’ in the manner of his more courageous predecessors. It is time to appoint a UN Special Representative to engage with the regime and opposition alike. Even if his or her proposals are ultimately rejected by Moscow or Washington, some options are better than none. After the catastrophic civil wars in Lebanon—which lasted 15 years—and Iraq—off and on for the past nine and counting—, any Western-led action that risks sending Syria down the path of those benighted lands must be strenuously opposed, even if it means prolonging the longevity of the Ba’athist regime. The experience of Lebanon and Iraq is instructive. Though riven by internecine contradictions, it was the interference of external actors that precipitated full-scale civil war and then sustained it; in Lebanon, the Palestinians, Israel, and Syria the principal ones; in Iraq, the US, followed by Al-Qa’ida and Iran, among others. The number of external actors and with contradictory interests who would implicate themselves in Syria would be that much greater. For this reason, one should be wary of slippery-slope proposals such as the one advanced by Anne-Marie Slaughter—a liberal Iraq hawk in ’03—in today’s NYT. I have a certain sympathy with the moral concerns of the R2P crowd but, as David Rieff argued recently, they risk getting us into a lot of trouble. …as increasingly desperate protesters call for help, there is a danger that the outside world will make matters worse as it plays at being savior. Calls for aid are somewhat worse than a pact with the devil: They entail pacts with many devils that do not agree on much. The Gulf monarchies, Iraq, Turkey, Russia, the US, Iran and others all see geostrategic stakes in the fate of the Asad regime. 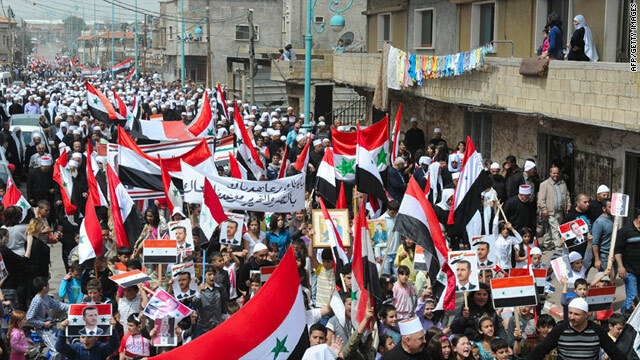 The greater their involvement, the less Syrians will remain in control of their destiny. Crying out for foreign intervention of any kind, to bring this emergency to an end at any cost, is more than understandable coming from ordinary citizens subjected to extreme forms of regime violence. Exiled opposition figures who pose as national leaders have no excuse for behaving likewise, when what is needed is a cool-headed, careful calibration of what type of outside “help” would do the minimum of harm. This is an incredible and terrifying report from Homs (h/t Martin Kramer)—and on this day of the no doubt deliberate killing of the American grand reporter Marie Colvin and French photographer Rémi Ochlik. There is a civil war underway in Syria, no doubt about it. Algeria in the 1990s—which I labeled a civil war at the time, but do no longer—never had anything like this. What a disaster. I don’t know if French parents are superior overall to American but they absolutely are in one respect, which I began to notice in the 1980s, several years before I became a parent but when my (American) friends started to have children. Going to the homes of American friends with small children was often exasperating, as the kid(s) would make a ruckus in the presence of the adults, constantly interrupt their parents—and the adult conversation—and distract everyone’s attention, but without the parents doing anything about it. On numerous occasions I would seethe, wanting to tell my friends “Will you please control your damn kid(s)!” (which of course I didn’t; ça ne se fait pas). American children were mal élevé; not all, of course, but many. But the problem was ultimately not the kids but their parents. The behavior of the American children was and is almost inconceivable in France. I can’t imagine seeing it in anyone’s home here. I never cease to remark on how polite French children are to adults. E.g. when passing neighbors’ children at play in front of my building, they always turn and say “bonjour, Monsieur.” Such would not happen with American children, who would royally ignore my presence. (The behavior carries over to adulthood, BTW; when passing neighbors here—with whom I have never spoken a word but where there’s a semblance of recognition—one always greets; this rarely if ever happens with Americans; hell, I’ve passed by or been in the presence of Americans—and countless times in my life—whom I’ve actually met and spoken with in the past but who don’t even acknowledge my presence, let alone say hello!). 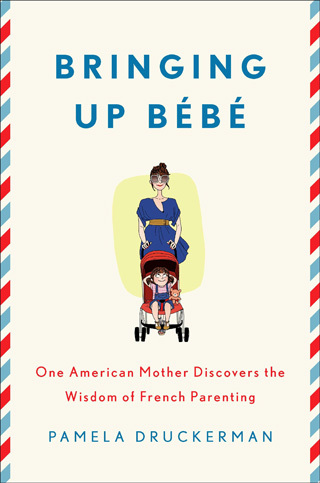 In “Bringing Up Bébé,” Ms. Druckerman, a journalist, is envious of Parisian parents whose children don’t throw tantrums in public or fight on playgrounds. She ascribes this good behavior to stern French methods like forcing children to follow schedules and wait for attention. But in the school system, this strict approach translates to a rigid curriculum with an emphasis on memorization. French children also are tracked into different academic paths by age 12, a practice that reinforces the influence of parental socioeconomic status on educational and career outcomes, reducing social mobility. I don’t how well Aamodt & Wang know France but there’s a bit of an American stereotype here, e.g. on the “emphasis on memorization” in French schools. When comparing the American educational system to others, it is almost an American reflex to critically note that schools in other countries and cultures emphasize “rote memorization” (I’ve never understood what the “rote” here means or what the difference is between “rote memorization” and just simple “memorization”). At least Aamodt & Wang didn’t add the “rote” for France. Now it is absolutely true that French schools do place great emphasis on memorization. But this is a good thing, no? It is very important that students memorize. As a pure product of the American educational system, I had to do a lot of memorizing so far as I remember. And there is no contradiction or trade-off whatever in emphasizing memorization and instilling a critical spirit at the same time, of teaching children to think independently. On this score, French schools perform equally to their American counterparts, if not more in some respects. On rigidities in the French educational system, this is absolutely the case—I could discourse on the subject at length—but not for the reasons Aamodt & Wang cite. In terms of curriculum the French system—in middle and high schools—may offer somewhat less choice than in America but this is not necessarily a point in the latter’s favor. One can argue that there’s too much choice in American schools—as in American supermarkets—and that the students (or shoppers) are objectively not better off for it. (And to push the school-supermarket parallel a bit, just as the “choice” one gets in American supermarkets—of aisles of junk food and/or variations of the same thing—is not really choice at all, American high schools and, above all, universities are full of elective courses that add little to the educational nutrition, as it were, of the students). As for being tracked into different academic paths, this happens in France at age 14-15, not 12—at the end of 9th grade—, where students are streamed into separate lycées for those who are university bound and for those who are not. But parents do have a say and the choice is not definitive. Lateral movement is possible at any point along the way. Going to a vocational high school in no way precludes higher education. There are many problems with the French educational system but one has to have observed it up close over a period of time—to have had a child in it or been in it oneself (and with a point of comparison)—to know. So there’s convergence. France is “Americanizing” and America is become more like Europe (sorry, Tea Partiers, but it’s true). Encore un sujet de réflexion. Rather than snacking all day like American children, [French children] mostly have to wait until mealtime to eat. (French kids consistently have three meals a day and one snack around 4 p.m.). Absolutely. Snacking is an American malediction. Our daughter grew up eating on precisely the above schedule. No eating throughout the day or at odd hours. And no second helpings during meals. As a consequence she has never had a weight problem, nor have the near totality of her friends over the years. If Americans want to know where their obesity epidemic comes from, they need look no further than their atrocious eating habits. UPDATE: TNR senior editor Ruth Franklin has a piece on how “no book will fix what’s wrong with American parenting,” and where she refers to Pamela Druckerman’s Bringing Up Bébé. The video “Sh*t Park Slope Parents Say,” which she links to, is amusing. On this general subject I had a post almost a year ago on French mothers and breast feeding (a subject on which I am not a world-renowned authority but had something to say at the time). A friend in Canada—who knows Iran well—sent this to me. It is the testimony of McGill University international law professor Payam Akhavan before the Canadian Senate’s Committee on Foreign Affairs and International Trade this past Wednesday, arguing strongly against a military attack on Iran (by America or Israel, obviously, as it’s not too likely it would come from Canada). It is very good. Here’s the text in full, with noteworthy passages highlighted by me in bold. For the past decade, I have maintained that a lasting peace in the middle-east can only come about with the democratic transformation of Iran. This view is shared by many in the Iranian human rights movement. But today, it contends with the looming threat of war, foreshadowing a catastrophe that could set back the region for many years. In this light, how can we best understand the context within which Canada must craft a just and effective foreign policy towards Iran? 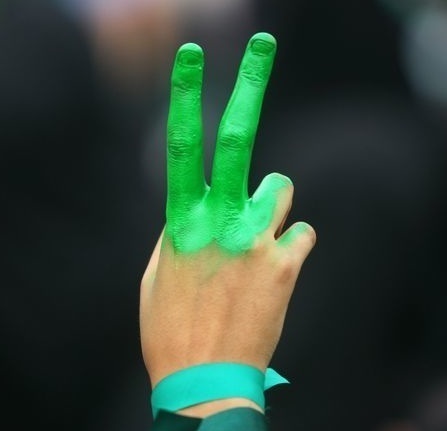 Prior to the rise of Iran’s “Green Movement” in 2009, pundits and analysts ridiculed us for suggesting that an emerging civil society would profoundly re-shape the middle-east. While we laboured to educate students in Ghandian philosophy, or to train them in non-violent resistance at secret workshops, those in the corridors of power considered only two options: war or appeasement. When millions of Iranians poured into the streets calling for democracy, the post-9/11 image of a “clash of civilizations” with Islamic fanatics and suicide-bombers was confronted with a radically different reality. While President Ahmadinejad distracted the world with his Holocaust denial and hate-mongering, the Iranian people exposed the other veiled face of their country: a youthful, idealistic, and inspiring generation, engaged in a heroic struggle to reclaim its lost humanity. It was this unprecedented “Twitter Revolution” that became the prototype of the Arab Spring two years later. The difference was that after thirty years of suffering totalitarianism masquerading as religion, Iranians had arrived at a post-ideological, post-utopian ethos, with human rights as their unifying theme. Despite brutal repression, this movement represented a seismic shift that seriously undermined the legitimacy and future prospects of the Islamic Republic. With the exclusion of Islamic reformists, the prospect of gradual change within the existing system has become increasingly remote. Iran has become a mercantile-militaristic state – as much a kleptocracy as a theocracy – intensifying the concentration of wealth and power in the hands of the regime’s enforcers: the IRGC Revolutionary Guards. This radicalization is reflected in the dramatic increase of show trials and hate propaganda, widespread imprisonment and torture of dissidents, and an alarming rate of executions. According to the Iran Human Rights Documentation Centre, there were at least 59 executions in January of this year alone. The picture that emerges is that of a regime terrorizing its citizens for want of power; a regime that is weak and fighting for its survival. Given this duality, we argued that the international community must pursue policies that empower the democratic movement while isolating the regime and its principal instruments such as the IRGC. We argued that human rights rather than the nuclear issue should be the focus of foreign policy. We lobbied for years to subject those responsible for crimes against humanity to travel bans and asset freezes: a policy finally adopted by the US and EU after the atrocities of 2009. As a first step in bringing such leaders to justice, we established the Iran Human Rights Documentation Centre in 2004 as part of a campaign of “naming and shaming”. Our Report on the post-election violence in 2009 – prepared with support from the Government of Canada – became a basis for blacklisting individuals by the US and EU. In this context, you can only imagine our astonishment to discover in September of last year that Mahmoud Reza Khavari, the head of the Iranian National Bank – the financial lynchpin of the IRGC, Hamas, and Hezbollah, not to mention Iran’s ballistic missile and nuclear program – was granted Canadian citizenship in 2005 and thereafter lived an opulent Toronto mansion! For too long, we in Canada turned a blind eye as the Islamic Republic’s insiders made our country into a haven for their ill-gotten fortunes and spread their networks and influence to silence dissidents abroad. In that light, to the extent that economic sanctions isolate the regime, they may be a positive development. But this is not without qualifications. First, the sanctions are linked to the nuclear issue rather than exacting a cost for human rights abuses. Second, we must not remain oblivious to its effects on ordinary Iranians. When, for instance, students at my university cannot pay their tuition fees because of a complete freeze on banking transactions we have to consider whether certain adjustments are required on humanitarian grounds. So we must bear in mind that the purpose of sanctions should be to isolate the regime, not to punish the Iranian people, and that we must incentivize respect for human rights rather than focusing exclusively on strategic threats, not least because the two are closely related, as I shall explain. In addition to sanctions, we should also consider whether our practices in other areas such as immigration policy are consistent with our condemnation of Iran’s human rights record. For instance, while we are using diplomatic channels to prevent the execution of two Iranian-Canadians – Hamid Ghassemi-Shall and Saeed Malekpour – who have been sentenced to death on spurious charges, our immigration officials are in the process of deporting Kavoos Soofi – an Iranian dissident in Toronto – despite Amnesty International’s view that he faces a substantial risk of torture or execution. If we truly believe that Iran is abusing its citizens, then we should be increasing our intake of refugees rather than deporting the likes of Mr. Soofi. I turn now to the most pressing issue; namely, the nuclear question and the threat of war. Like the vast majority of Iranian-Canadians, I am against a military confrontation, because of its impact on innocent civilians, and its unpredictable consequences on sectarian violence in the region. Consider for instance the 2006 study in the reputable Lancet Survey medical journal, putting the number of excess civilian deaths in the Iraq war at 650,000. But beyond humanitarian considerations, allow me to explain why war is such a bad idea by looking at the current situation through the logic of the Islamic Republic’s leadership. First, the “Green Movement” has dealt a serious blow to its legitimacy and remains a threat. Second, the power struggle between the Supreme Leader Ayatollah Khamenei and President Ahmadinejad is reaching a point of crisis. Third, its sole regional ally – the murderous Assad regime in Syria – is facing collapse, and with it the capacity to send weapons to Hezbollah in Lebanon. Fourth, Hamas has been lured out of Iran’s orbit by Turkey and Qatar. And fifth, economic sanctions are taking a heavy toll on the regime’s finances. Under such dire circumstances, what is the only thing that can save the leadership? The answer is war with Israel and America! It is the one thing that can rally the masses behind the leadership, and under the cover of war, provide an opportunity for mass-execution of thousands of opponents, similar to the atrocities justified in the 1980s by pretext of the Iran-Iraq war. At best, a military attack will delay the acquisition of nuclear capability by two years, whereas the democratic movement would be set back by at least a decade. It cannot be disregarded that the problem is the nature of the regime rather than nuclear capability. Consider for instance, how in the 1980s, the newly established democracies in Argentina and Brazil dismantled the nuclear programs pursued by prior military regimes. In this context, talk of war is exactly the distraction that the regime needs to bolster itself at a time of weakness and vulnerability. It is useful to recall the situation after the September 11th terrorist attacks, when the reformist Khatami government played a crucial role in helping the Americans defeat the Taliban. This cooperation was rewarded with threats of a military invasion of Iran, following the overthrow of Saddam Hussein. Not surprisingly, it was the hardliners that benefited most from these hawkish policies. Ironically, it was Saddam’s overthrow that helped transform Israel and Iran from unwitting strategic allies against a common enemy to regional rivals. During the Iran-Iraq war in the 1980s, while Ayatollah Khomeini called for Israel to be “wiped off the map”, the Islamic Republic was enthusiastically receiving Israeli weapons shipments, just as the United States and the Europeans were arming Saddam Hussein, while he bombed Iranian cities and gassed his Kurdish population. These are the cynical power politics that have brought us to the unfortunate reality we face today. There is no doubt that nuclear proliferation would destabilize the balance of power in the middle-east and lead to an arms race. But by buying into the Islamic Republic’s inflammatory apocalyptic rhetoric with alarmist rhetoric of our own – namely, the suggestion that Iran intends to use nuclear weapons in a suicidal attack against Israel – we are giving the regime the enemy that it needs to survive. By invoking Armageddon, we are throwing the hardliners a life-line just as they are finally drowning in the morass of treachery that is of their own making. It cannot go unnoticed that even the likes of ex-Mossad director Meir Dagan and former Israeli Defence Forces chief-of-staff Gabi Ashkenazi have serious misgivings about the wisdom of war. In the words of Yossi Alpher – Defence Minister Barak’s former Senior Adviser – there is an “obvious disagreement” on Iran between hawkish elements and “a more cautious and less alarmist camp that comprises much of the professional security community”. Now is a time then that our leaders should avoid the politics of fear, lest it lead to a self-fulfilling prophecy with catastrophic consequences.